It shouldn’t be a surprise that the Twin Cities has a abundant pool of jazz fans, with WGLT, Central Catholic’s jazz band program, and a decent selection of active groups in the area. Yet often their music of choice doesn’t enter the consciousness of most people, flying under their cultural radar. In that light, it is only fitting that “in the know” patrons should be treated to the vocal gymnastic pizzazz of one of the preeminent jazz tenor talents in contemporary times – Kurt Elling. The unenlightened are, sadly missing out. The jive-cat-ranting, Kerouac-beat-inspired singer graced the stage of the Bloomington Center for the Performing Arts in a concert Sunday night. His style is an accessible lustrous jazz, with beat-poet scatting in an innovative manner that has been described as a rant when he is inspired “on the fly” to move his words and vocalizations around like kaleidoscopic puzzle-pieces. 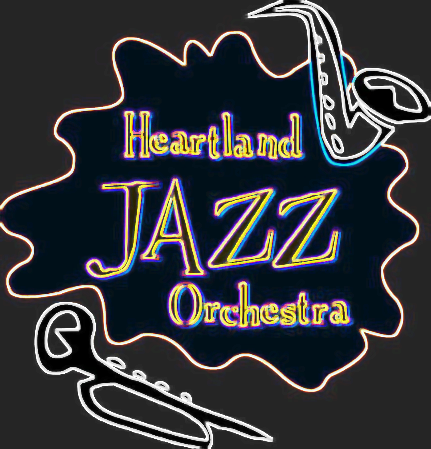 The Heartland Jazz Orchestra warmed up the crowd with some big band favorites, with excellent soloing exertions, including “When You’re Smiling, the Whole World Smiles With You”; the bossa nova beat of a flugel horn in “Tears in Her Eyes”; a somberly gorgeous “My Funny Valentine”; and other fun works. Director Thomas Wirtel introduced Elling as a treat to stick around for. To Listeners’ surprise, Elling joined the orchestra in three sets, including his well-known cover of “Close Your Eyes.” This rounded off the first half of the evening as the audience clapped for the combined efforts of hometown favorites and a national jazz icon. Elling’s band, The Kurt Elling Quartet, includes a strong and steady crew of professionals : Laurence Hobgood on piano and Rob Amster on bass (both have worked with Elling since his career began in the mid-90’s) and Frank Parker Jr., drums, who joined the group in 2000. Elling joked to the crowd about his last visit here, during the ’97 Downtown Bloomington Jazz and Blues Pub Crawl – and how pleased he was that the audience didn’t leave during intermission. Each musician had a chance to shine. (The third set had a chance to shine. (The third set had a particularly cutthroat drum intro by Parker.) But Elling always was the audience’s focus, his sonorous low croons of “It’s easy being in love with you,”jumping to high dooby-doo scats that owe more to Ginsberg than Louis Armstrong. A “vocalese” sketch, evolved from John Coltrane’s sax solo in “Revolution,” told a Kerouac story of a Cadillac and grasped at elusive harmonies in an all night club. In brief, the evening was a night of entrancing jazz storytelling. To those fans that were able to attend, the night was undoubtedly a treat to their ears and hip-jiving modern-mood improvisational souls.